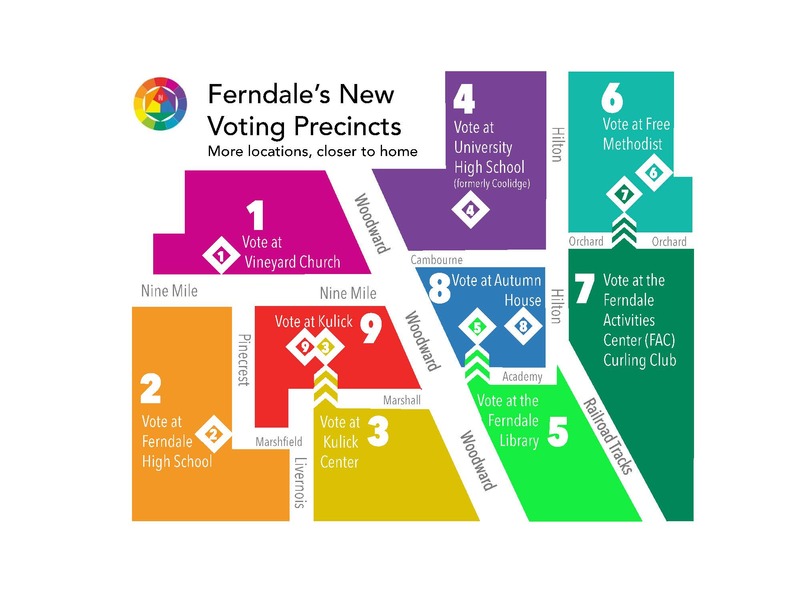 To accommodate higher voter interest and minimize wait times, the City of Ferndale has changed to accommodate nine precincts. All polling locations are open on Election Day from 7:00 a.m. to 8:00 p.m. and are handicap accessible. Use the map and chart below to locate and watch video and a virtual walk-through of your precinct. You can visit the Michigan Voter Information Center to confirm your precinct and polling location. Click below to view a short video of your polling location—you'll ensure you're in the correct precinct, see the interior and exterior of your voting location, and find out where to park.